Batemans bay is a town growing fast and has many issues and problems to consider which are unique to settlements on the coast. Batemans bay currently has a population of around 16,000 people which is expected to increase by around 40% to 23,000 by 2031. Batemans bay has an ageing and elderly population with 22% of the population over 65 and this expected to increase over the next 20 years Batemans bay being a desirable retirement destination for members of Canberra and surrounding areas. For this reason Eurobodalla Shire Council have brought in an ageing-in-place strategy to provide planning directions and controls that support easy-maintenance homes for seniors that are located close to shops and other services. 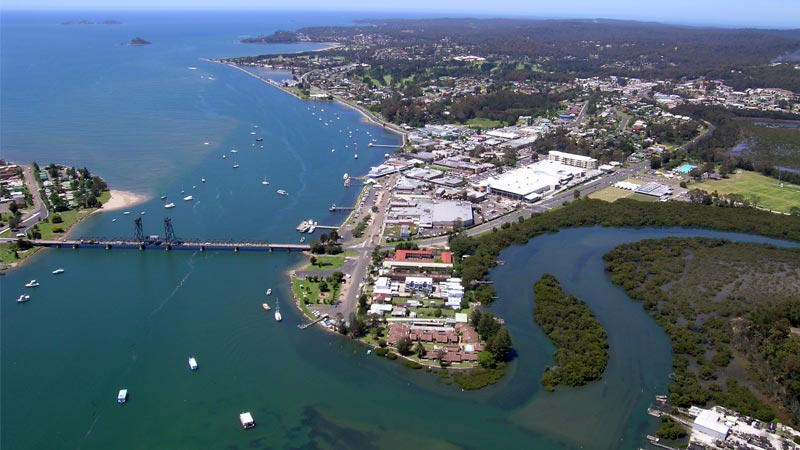 The growth of Batemans Bay will be achieved through a combination of Greenfield, urban renewal and infill projects. 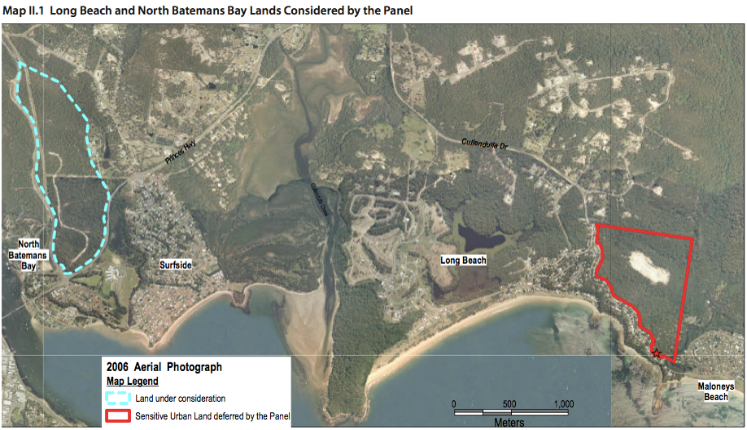 Two areas were considered for greenfield development both north of Batemans bay CBD; one in Batemans bay north and the other near Maloney’s beach after much deliberation and studies the north Batemans bay site was found to be the best area for greenfield development and Maloney’s beach should not be used until after the north Batemans bay sit. Although these Greenfield areas could accommodate Batemans bays population increase this would not be ideal for Batemans bay infill will be needed in central areas to keep the population especially elderly population close to services. Environmental issues also need to be thought about when planning anywhere but a costal environment is especially venerable. Sea level rise is a serious issue that needs to be planned for with the sea rising an average of 3mm per year, king tides and heavy rainfall also make flooding a more recent event, planning needs to consider this and leave barriers and clearings from the ocean and rivers. If planned well this could save millions of dollars’ worth of damages in the future also Batemans bay being regional and surrounded by bush land and only with one major access road bush fires are a serious issue which can be managed via back burning fire breaks and fire barriers/clearings especially around roads and fire routes. I agree with the last point you have made, that if planners and the community do not accommodate for sea level rise/climate change then there will be huge costs in damages, instead of maybe investing in more preventative measures at the present time. Same with Elyse I agree that climate change is a really important issue and if we don't plan for it way way way larger costs will occur in the long term. I also thing an ageing population is an interesting issue, what I think an ageing population leads to is an increase in public services but as planners we generally advocate for those anyway!